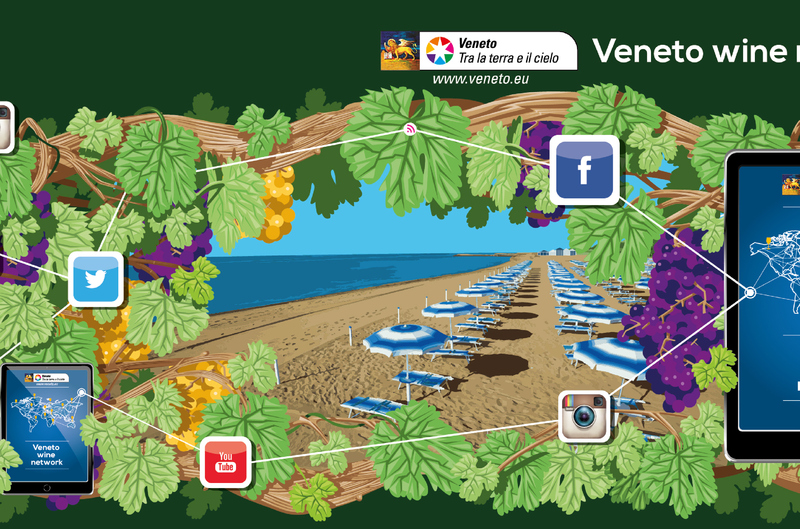 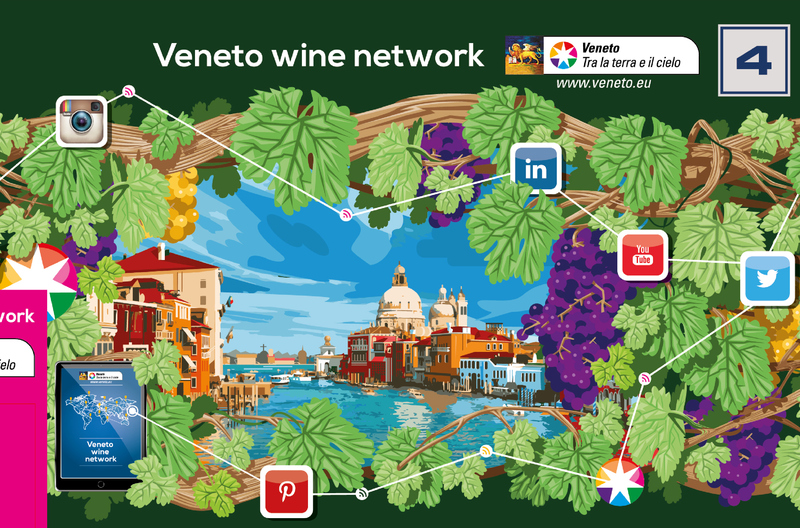 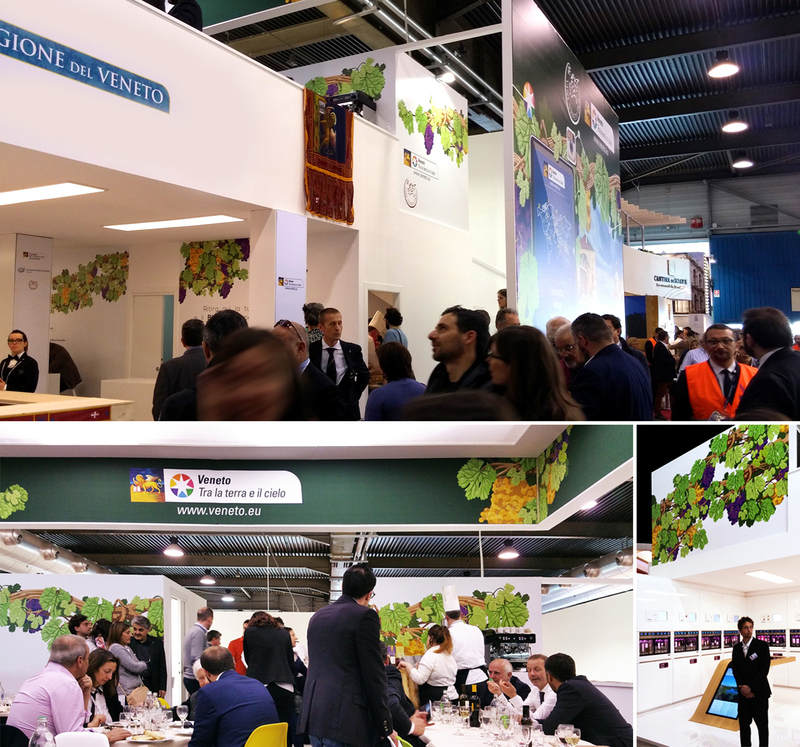 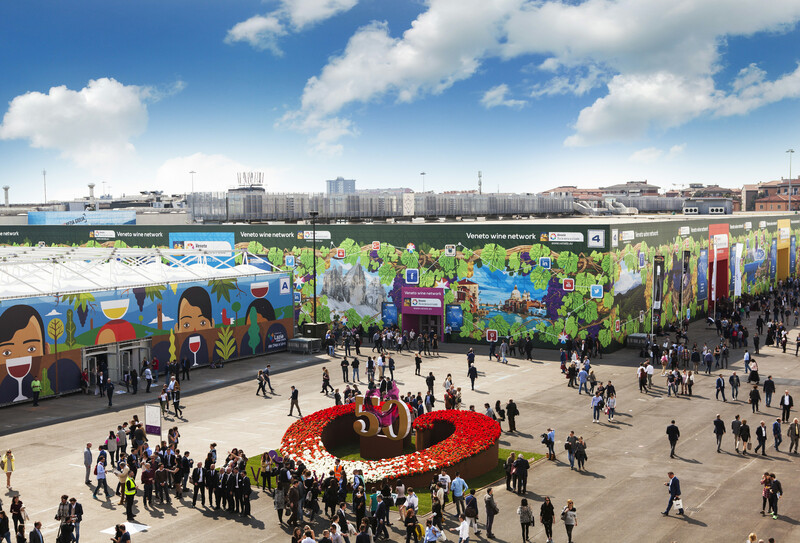 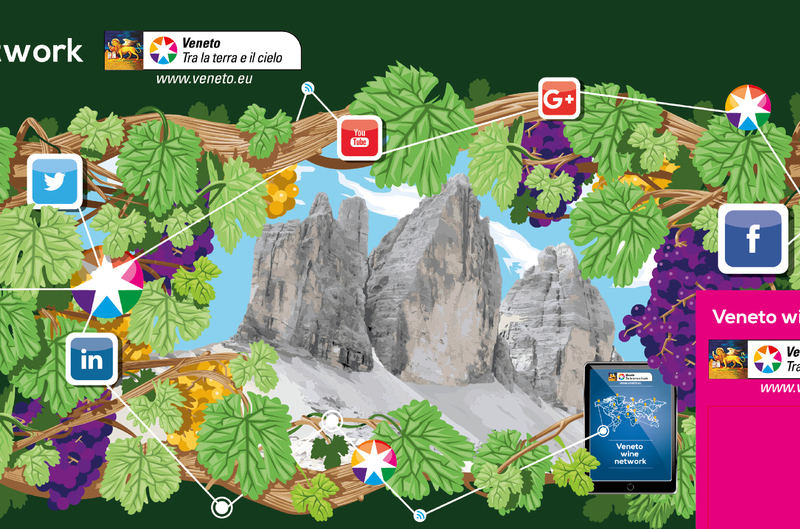 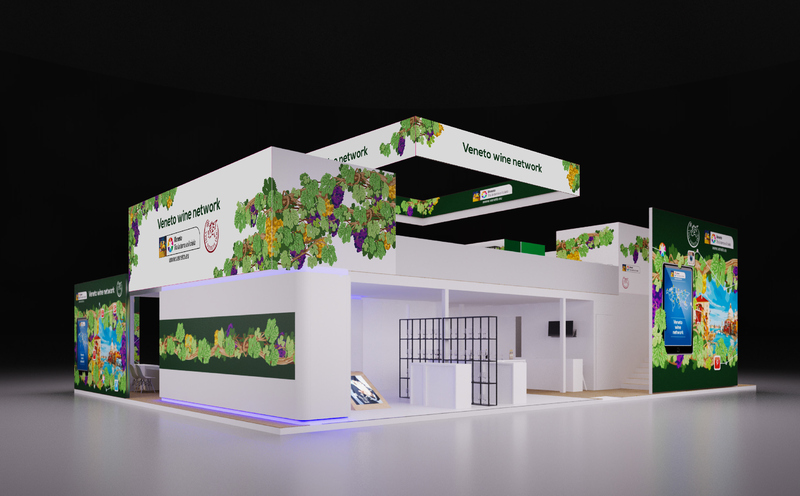 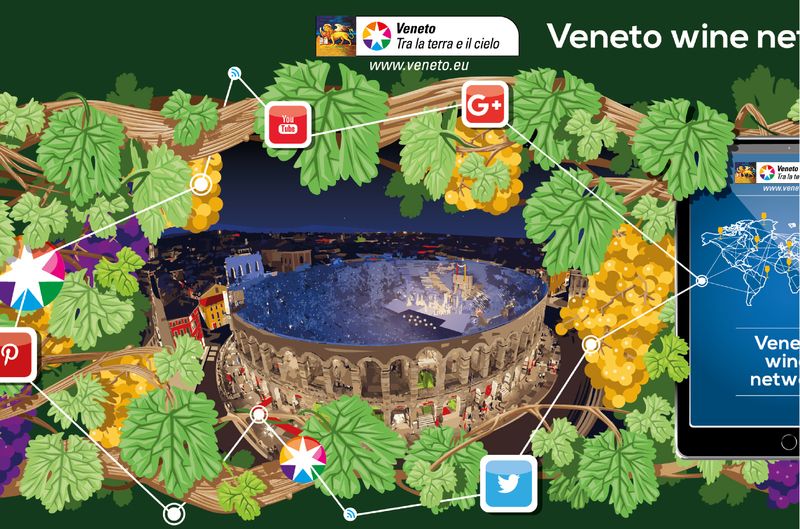 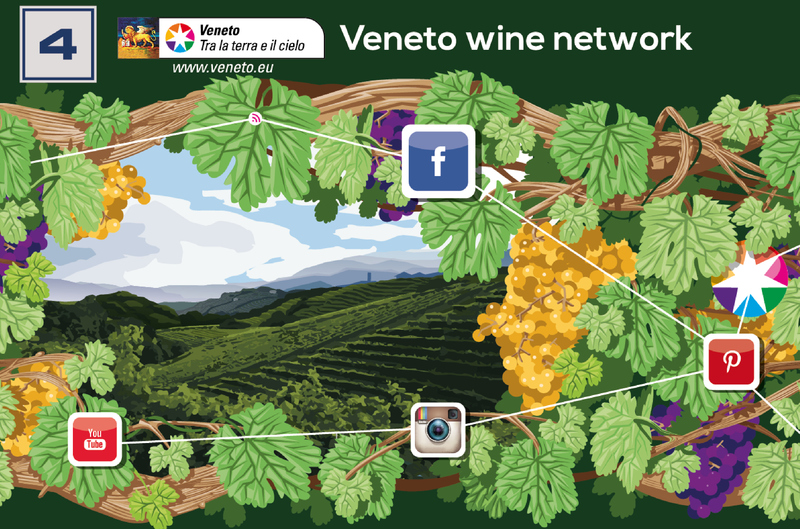 Manifactory designed the cover of the pavilion of Venice at Vinitaly. 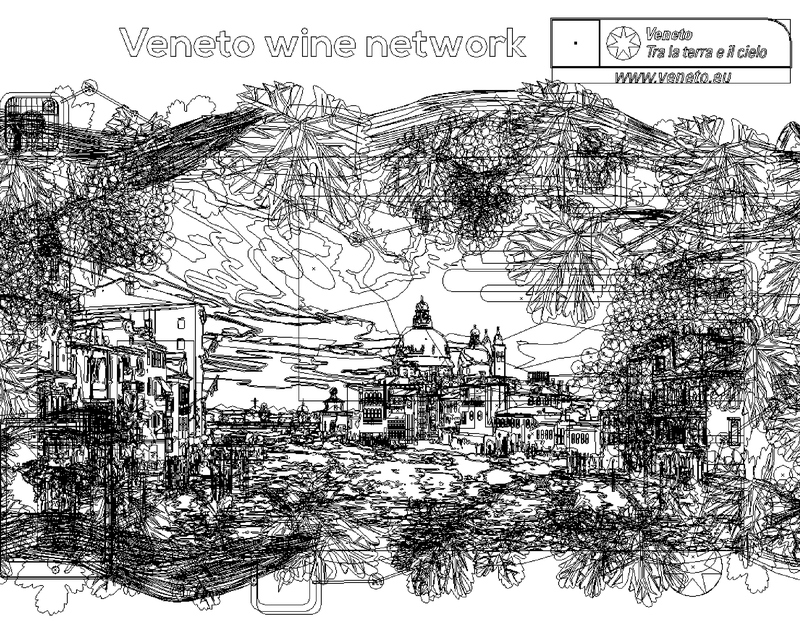 The vector drawing technique has proved particularly congenial because of the need to characterize the large surface area -180meters- As the matter of fact a vectorial illustration allows producing infinitely large printable images with high definition. 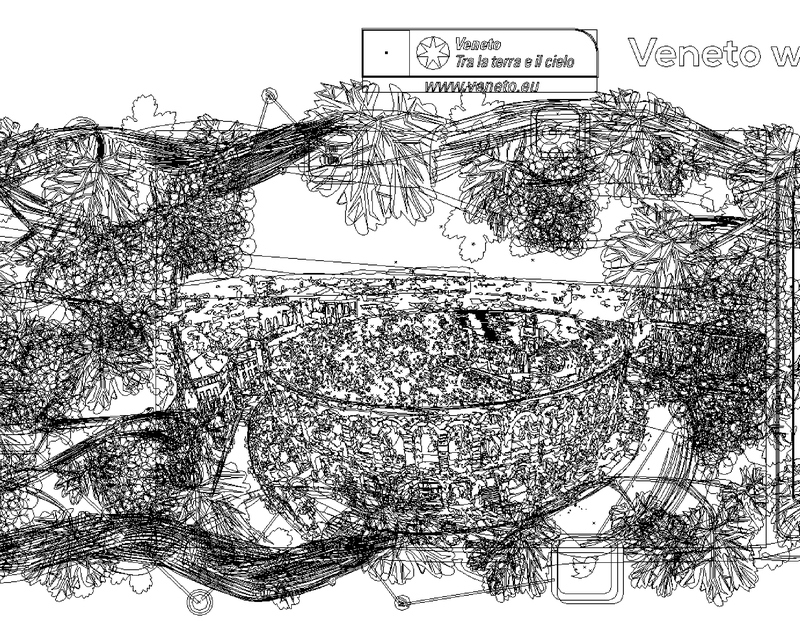 The vector drawing technique has proved particularly congenial because of the need to characterize the large surface area -180meters - As the matter of fact a vectorial illustration allows producing infinitely large printable images with high definition. 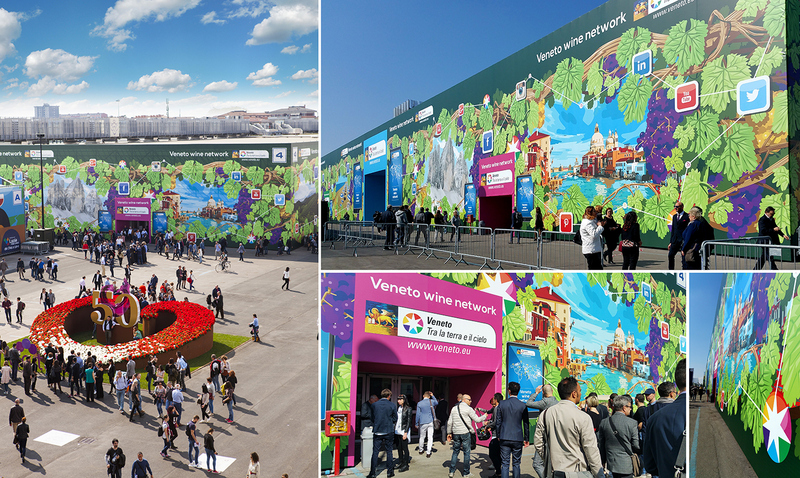 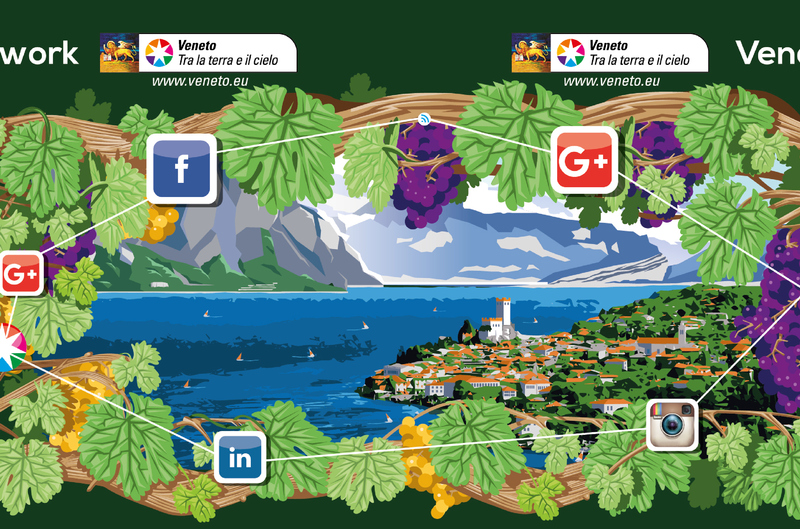 Thanks to this technique Sossella David and Sara Penco could had drawn the largest grape texture that winds for 180mt of the pavilion length and leaves room for the beauty offered by the Veneto Region and symbolized by the wedges of color of the logo.